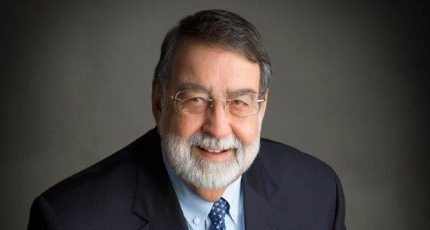 Jim brings almost 50 years’ experience giving advice and counsel to his clients in the areas of federal taxation, estate planning, employee benefits, and health care law. He enjoys a strong client following among family businesses, professional practice groups and corporate clients. Because of Jim’s expertise, he is a sought after speaker and has made presentations at professional meetings for the Parker Center for Family Business at the University of New Mexico’s Anderson School of Management, the New Mexico Estate Planning Council, and the Santa Fe Estate Planning Council. Chambers USA has recognized Jim in the areas of Tax and Employee Benefits & Compensation. 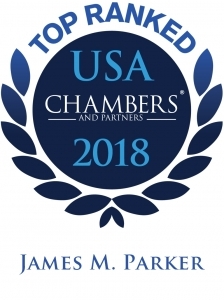 In their 2017 rankings, Chambers noted, “Jim has a strong client following, and is regarded by them with a great deal of trust and respect. He is a leading federal tax lawyer in the state, and a client describes him as “a committed, professional and high-flying lawyer. '” Jim has also been selected a Fellow of the American College of Trust and Estate Counsel, the American College of Employee Benefits Counsel (Charter Fellow), and the American College of Tax Counsel. 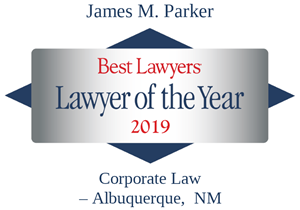 He was named Lawyer of the Year in Employee Benefits (ERISA) Law – Albuquerque in 2012 by Best Lawyers of America®, where he has been listed each year since 1993. In addition, he has attained a Martindale-Hubbell AV® rating and is named among those listed in Southwest Super Lawyers®. Jim was also among the “Spears School Tributes: 100 for 100,” which recognized 100 graduates of the Oklahoma State University Spears School of Business on its 100th Anniversary. In addition to his practice, Jim is active in community and professional non-profit organizations. He is co-founder and Chair of the Parker Center for Family Business. He serves as Director of the Corrales Cultural Arts Council and provides pro-bono services for a number of non-profit organizations. Long-term representation of a construction-industry company. Recently facilitated the third transition of this small business to its new owners. Succession planning for closely held businesses often requires creative solutions that balance competing business and personal objectives, all in the context of complex family dynamics. This most recent sale of the business was by the owner-father to his two sons, their spouses, and a key employee, the company’s in-house accountant. When bank financing requirements became too cumbersome and restrictive to meet some of the family’s personal priorities, we restructured the asset purchase agreement to include owner-financing. The terms were crafted both to accommodate the realities of the business’s anticipated income and cash flow and to address the seller’s retirement needs and income and estate tax objectives. To minimize the disruptions that inevitably occur during shifts of management control, we negotiated an employment agreement for the out-going owner to remain employed by the company in a meaningful consulting role. Ongoing employment also allowed seller to continue to participate in company benefits, such as healthcare and profit-sharing. Assisted a closely held business with two major shareholders; each was an officer and director and actively engaged in the business. Each shareholder wanted to bring his son into the business, eventually transferring ownership to his own family’s next generation. Helped resolve growing business conflicts stemming from personality conflicts developing across the two shareholders’ family lines. Worked toward a solution that would preserve the going-concern value of the business and avoid negative tax consequences for its shareholders. Assisted the client in identifying two distinct areas of the business, each of which could become a viable, stand-alone enterprise. The corporation resolved to undergo a tax-free “split up” resulting in each shareholder having exclusive ownership and control of a new, independent entity. Our assistance in structuring and implementing the corporation’s plan for its divisive reorganization positioned our client to defuse the emerging shareholder dispute threatening the company’s reputation and the future of the business. The shareholders were able to preserve the value of their investments in the original entity without negative tax consequences, and they were free to include and transfer ownership in the new entities to the next generation. Represented corporate shareholders in a tax-free reorganization achieved by having each of three of the shareholders exchange their stock in the parent company for stock in one of the three subsidiary entities while the fourth shareholder retained his interest in the parent corporation. To meet the IRS requirements for a tax-free spinoff, the shareholders agreed to continue to operate the four ranches for a minimum of five years. Prepared estate plan for client who owns a company very similar to a separate entity that was owned by his brother. When our client’s brother died, his estate found it necessary to sell the company. In the course of preparing the estate tax return, the estate had the company appraised. The appraised value, in tandem with the then-applicable 35 percent gift tax rate, presented a very favorable estate planning opportunity for our client. Pursuant to a Confidentiality Agreement, we are able to use the appraisal as the basis for valuing our client’s company and remove a significant asset from his estate by arranged for lifetime gifts of shares in the company to his beneficiaries at a tremendous discount. Regularly represents medical professionals in the operation of their medical practices in various locations around the state. Also represented medical professionals with the sale or purchase of medical and dental practices valued between $500,000 and $850,000. Assisted the Guardian and Conservator of a disabled professional in the management of practice until it could be sold. Advised physician practices, including negotiating individual physician contracts, executive compensation and employee benefits, and HIPAA compliance. On behalf of practice groups we have negotiated agreements with hospitals.